Our family made a new state move in the spring, so life was turned upside down for a while with packing, moving and the most-dreaded step – unpacking. You’d think I’d welcome the opportunity to set up a new sewing room and organize my supplies. You’d be very wrong! I’m STILL technically organizing and unpacking my room, but I have been using it for the last couple of months so I’m happy about that. Once settled, I really decided to put myself out there and embrace more of the quilting world around me. I joined the Central Iowa Modern Quilt Guild (the local chapter of the national organization). I am so fortunate to have met and become friends with SO MANY awesome and talented quilters. I am so thankful to have found and joined this group. I attended the Missouri Star Quilt Academy in the summer and got to hear from so many great lecturers and teachers. I took away so many new ideas, projects and tons and tons of inspiration. I got to meet several “sewlebrities” too! I attended a lecture from Victoria Findlay Wolfe which gave me an entirely new perspective on quilting and encouraged me to start designing a quilt as if my great grandmother and I were collaborating together (and so that makes sense – my grandmother passed almost 20 years ago, so I’m using some of her quilts and style and mixing them with mine so that we have a collaboration quilt together!). I visited the International Quilt Study Center and Museum in Lincoln, NE with a busload of awesome quilters and spent time appreciating all of the styles and reasons for quilting. We also stopped at a few quilt stores on the way home and Cosmic Cow, a fun LQS in Lincoln, NE, became the 50th quilt store I’ve visited! I did celebrate by buying a couple of cool pieces of grey fabric (my favorite!). 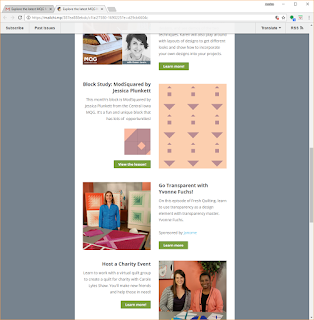 In March, I was a top 10 finalist for Craftsy’s Quilt Designer Fellowship! Talk about an honor and a thrill to be a finalist out of a hundred plus applicants! That was a big confidence booster and validation of my work. 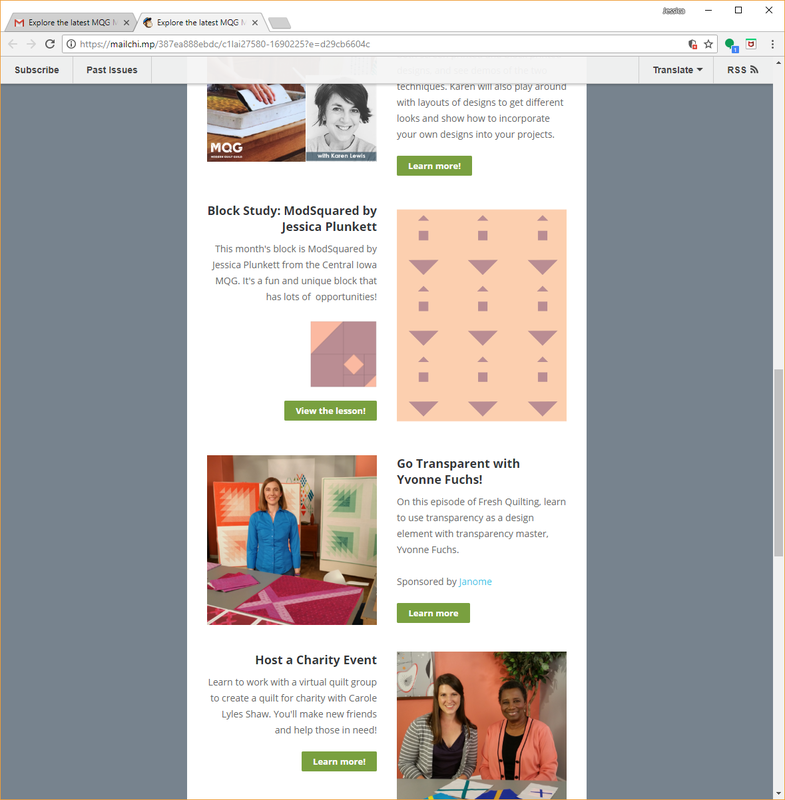 In May, my block called Mod Squared, was the featured Block Study of the Month for the Modern Quilt Guild. I designed the block in 2017 and decided to submit it for this program. Again, I’ve been really trying to put myself and my work out there and embrace the feedback (I talked about this in my Quilting and Well-Being blog post awhile back). And a couple of my patterns are in the final stages of testing and review – once finished, I will be releasing these out into the wild! I am so excited to share my work! More adventures await me in the future too. I’ve got several events and projects lined up. Be sure to follow me on Instagram @maeberrysquare to see the latest. What quilting-related activities do you have planned this year?